They offer programmes & services concerned with how to live wisely and well, services like Bibiotherapy & individual sessions with all sorts of experts. 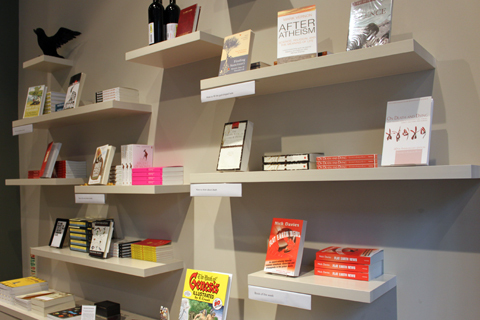 They host events but also walk-ins welcome for browsing their handy book & product selection. 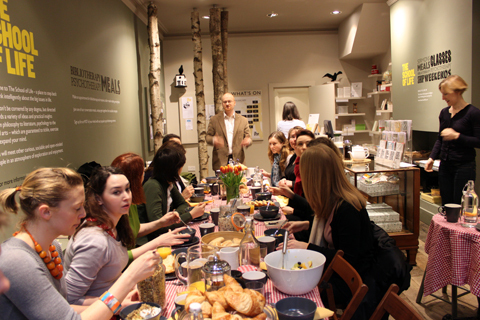 Breakfast club for early starters, 7.30 – 8.30am, led by Mark Vernon, philosopher, journalist & author. So lovely, they make our hearts skip a beat. 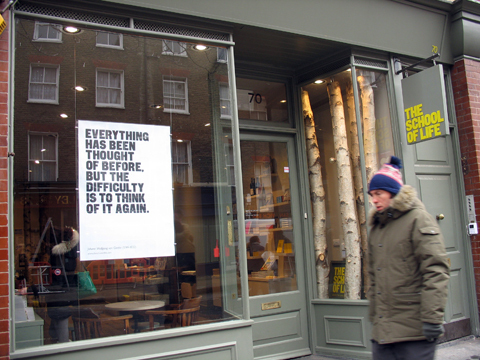 The School of Life is open daily from 12:00 – 19:00 at 70 Marchmont Street London WC1N 1AB.